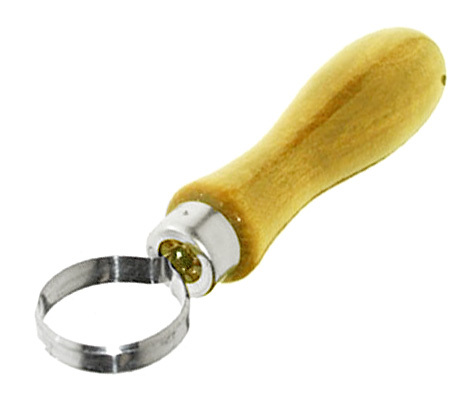 C) Loop Tool has stainless steel 1" diameter sculpting blade with sharpened edges and hardwood handle. Handle is 4-1/4"L with metal ferrule for added strength. C) Loop Tool has stainless steel 1-3/4" wide (at its widest) sculpting blade with sharpened edges and hardwood handle. 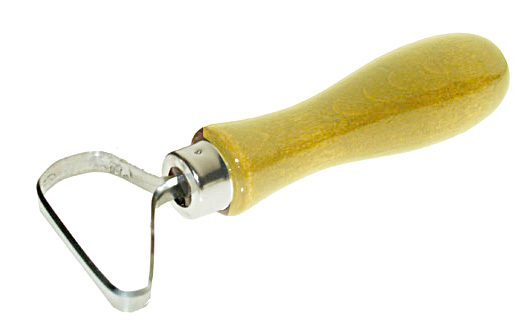 Handle is 4-1/4"L with metal ferrule for added strength.